Watch Mode works by having showing the "hour hand" as an orange LED, the "minute hand" as a yellow LED, and if both "hands" are on top of each other, the LED will glow purple. When you first turn on your watch, you need to give the GPS a clear view of the sky. Once the GPS locks on, it will automatically update the time for you. 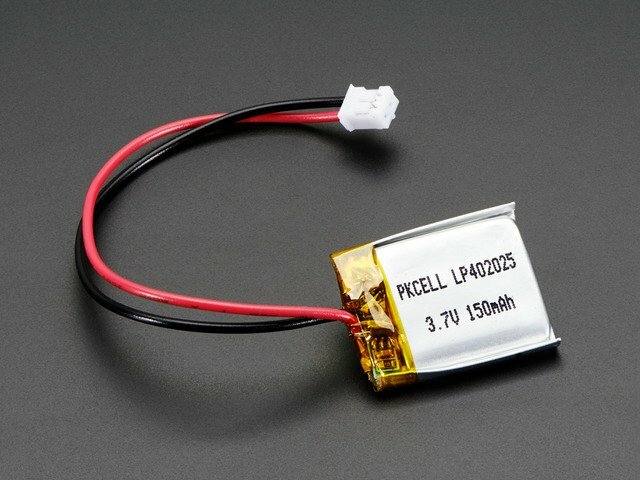 Now, if you lose a GPS signal, it will still remember the time (until you disconnect the watch from power). Navigation Mode works by pointing an LED in the direction you need to go to reach the coordinates you entered in the sketch. When you get close to your destination, the LED will change from yellow to red. You need to have a constant GPS lock for this mode to work. Compass Mode works by always pointing north with a blue LED. The code for the FLORA NeoGeo Watch is pretty simple and straight forward. We are using the standard Adafruit GPS Library, a Time Library, the LSM303 Compass Module Library, and the FLORA Pixel Library. 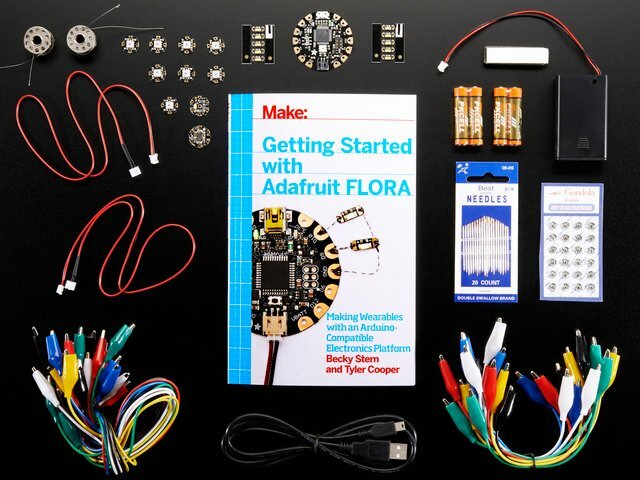 You will find links to the libraries at https://github.com/adafruit/FLORA-NeoGeo-Watch. Click here to go to the NeoGeo Watch Github page. Follow each library’s README file for more information about installing each library. Follow the FLORA Pixel tutorial for more information about installing the library. Test out the pixel sample code to be sure your pixels are functioning properly. To make sure your GPS has a direct view of the sky, hang your watch out the window (but don’t let it fall out). I used a USB extension cable so I could have the watch out the window but still plugged in to the computer! Open the Arduino IDE serial monitor. You can access the serial monitor by clicking the magnifying glass icon to the far right of the top toolbar. Make sure the dropdown in the lower right of the serial monitor is set to “9600 baud.” If you see a constant stream of GPS data, your GPS module is correctly installed. The next step is to test out the compass module. 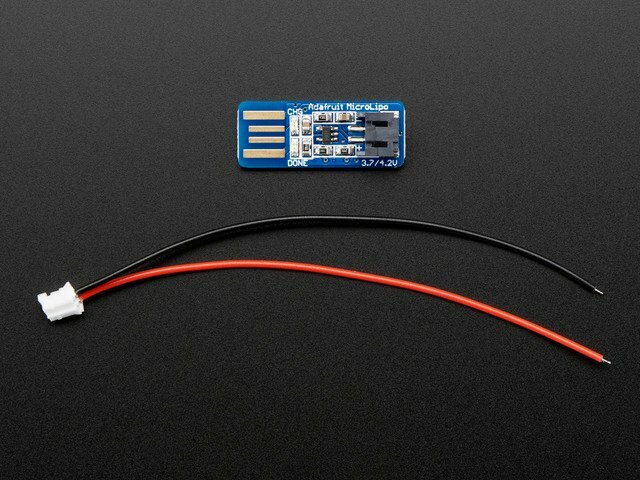 With the LSM303DLHC library (https://github.com/adafruit/Adafruit_LSM303DLHC) installed in your Adafruit Arduino IDE, open up the magsensor example, or manually enter the code below and upload to your FLORA. Again, open the serial monitor and make sure you don’t get the “Ooops, no LSM303 detected … Check your wiring!” warning. You should see the X, Y, and Z values change as you move your NeoGeo watch around. We like iTouchMap for finding latitudes and longitudes online. Dump in a location, such as your home, so you will always be able to find your way home. 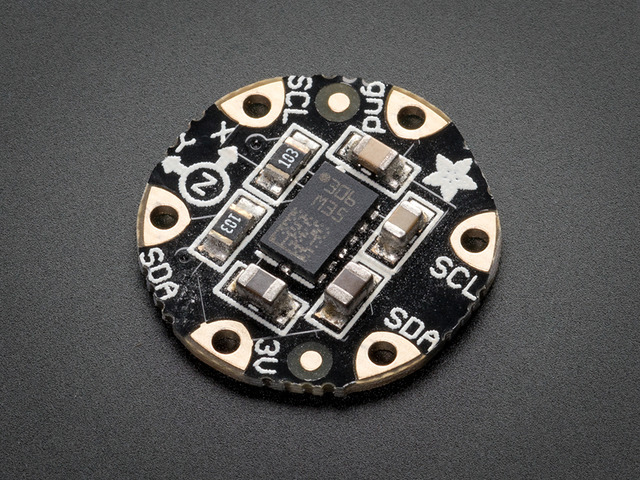 We also know that your NeoPixel Ring and compass sensor won't line up perfectly with our design (even our two prototypes didn't line up exactly). So, we made it easy for you to calibrate your watch. 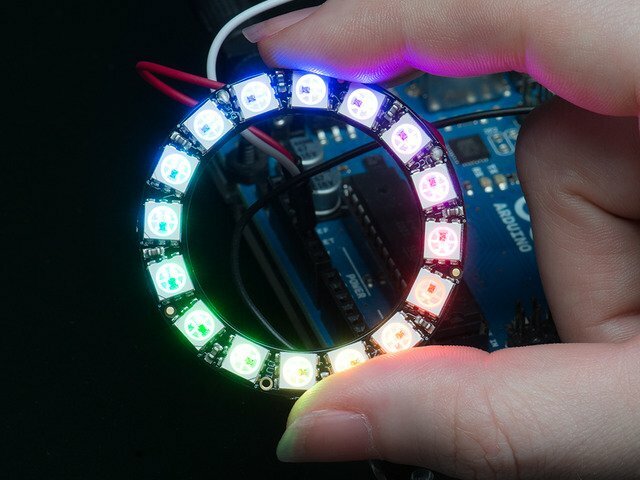 The first thing you want to do is calibrate your NeoPixel Ring. 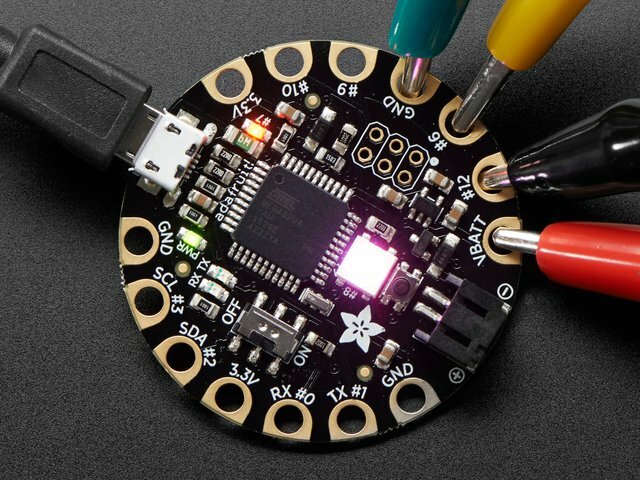 This is as simple as lighting up each pixel using the NeoPixel code and determining which pixel is your top pixel (from 0-15). In the code, it is set to pixel 1. Next, you need to make sure your watch knows which way north is. This is really easy to do. When your watch is on, hold down the button until you get to mode 3, which is the compass mode. Then, using a compass on your smartphone, or the old fashioned kind, point your TOP_LED north. Count clockwise how many pixels away the lit LED is away from the TOP_LED. 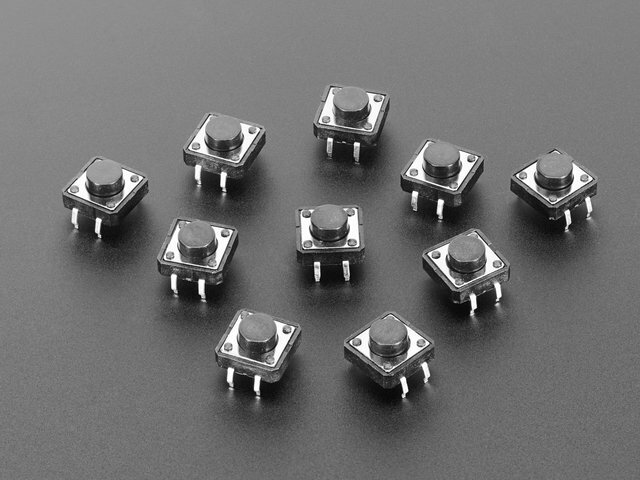 So, if you aim your TOP_LED north, and the LED 4 spots over (counting clockwise) is lit up, you would change the 0 in the LED_OFFSET code above and replace it with 4. That's it, you should be ready to upload the code to your FLORA, and start using your NeoGeo Watch! This guide was first published on Sep 25, 2013. It was last updated on Sep 25, 2013. This page (The Code) was last updated on Apr 20, 2019.